CNN KILLED THE CONVERSATION FOR UNITY ! CNN used the students and the Stoneman community to fuel their continue hate towards Senator Rubio, President Trump and the GOP. Little Alfonzo will be a one hit CNN and wonder! He is out of focus and plays into the hand of the CNN hate! Shame on CNN. Sad day in American when CNN controls the conversation! CNN is nothing more than an ambulance and creating an environment of continue of hate ! An opportunity to forget about red and blue and come together to find solutions has been soured by attacks on Senator Rubio. Personal attacks on Rubio by Stoneman students was very disheartening. Delaware Rep Jaques wants to armor-up Delaware public schools. Do you support HB 49 ? 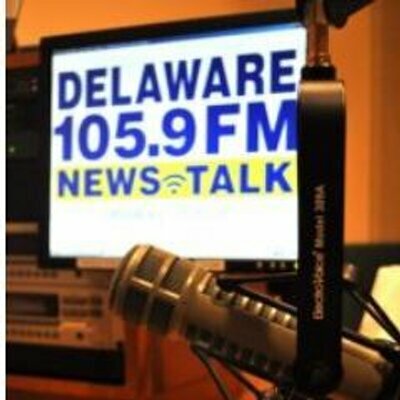 Posted on February 21, 2018 | Comments Off on Delaware Rep Jaques wants to armor-up Delaware public schools. Do you support HB 49 ? AN ACT TO AMEND TITLES 14 AND 29 OF THE DELAWARE CODE RELATING TO SCHOOL SAFETY. This bill requires all new school construction or major renovation to include the following features: an intruder alarm, bulletproof glass in entrance areas and interior doors and windows, and doors lockable with keys on both sides. Further, the bill would require all new school construction plans to be submitted to the Office of Management and Budget’s Facilities Management Section for compliance with these requirements as well as with Crime Prevention through Environmental Design principles. You may need to disable your browser’s pop-up blocker to view linked documents. Comments Off on Delaware Rep Jaques wants to armor-up Delaware public schools. Do you support HB 49 ?